Being the cool, hip parents that you are, you’re surely going to take the kids on some unforgettable trips while they’re young. Traveling to new places and experiencing new cultures builds character, and it a great way to get in some quality family bonding time. 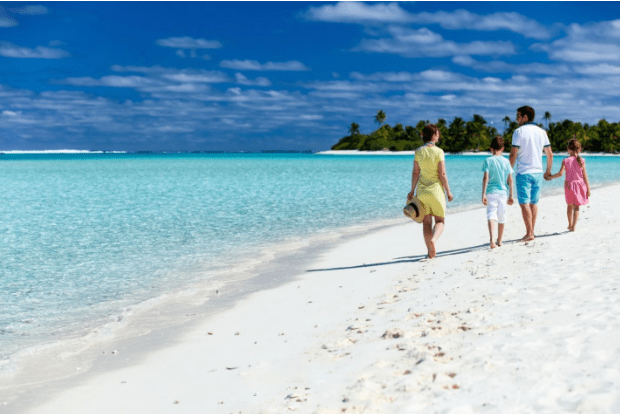 But to make sure the kids are learning and growing from their expanded horizons instead of suffering from unnecessary travel stress, there are a few key things to remember before jetting off on your next family vacation. In addition to your medical first aid kit, you should always carry emergency electronic supplies to charge dying phones or replenish the video queue on a long road trip. It’s wise to travel with a collection of extra chargers, power banks, batteries, extra DVDs, and memory cards. Keeping your kiddos entertained and occupied will help keep the adults happy and stress-free as you navigate from point A to point B. Despite what you may have heard, taking your baby on a trip is actually incredibly easy—all it takes is a little extra preparation and forethought. Murphy’s law states that anything that can go wrong, will go wrong; but when it comes to parenting, know that as long as your prepared for anything, a few speed bumps along the way won’t matter. Bring a roll of painter’s tape to make baby-proofing new spaces a breeze. Pack teething toys, extra pacifiers, and plenty of extra diapers and wipes. Consider taking a portable baby walker, or a play yard at the least. If they’re in-between developmental phases, you’d be smart to invest in a bassinet that converts to a crib to give yourself flexibility and peace of mind while you travel. Pack a travel cooler and ice packs, as well as a handful of reusable water bottles (one per family member is a good rule of thumb). You can leave behind most of the bulky food containers and instead make sure that everyone is hydrated. While bringing plenty of food is important, you should be able to get away with small snack packs that don’t take up too much space. Over-packing on food will lead to annoying leftovers, and it’s a waste of your money and time to have to throw food away while you’re trying to enjoy a vacation. 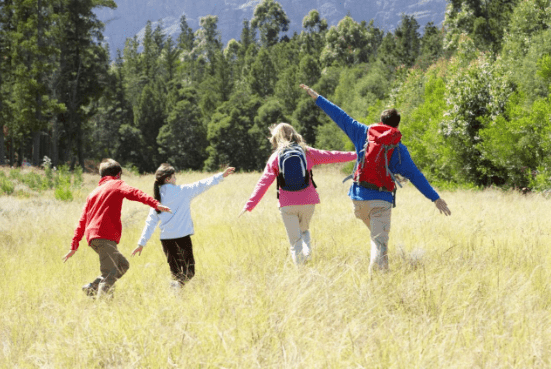 Give your kids each their own little travel pack to carry around as you explore new territory. This gives them a special sense of independence, while also helping to avoid the notorious my-sibling-stole-from-me vacation fight. They can store their snacks and water bottle in their own pack so you don’t have to lug them around yourself. And if you ever reach a resting point during the day, stashing a coloring book or a toy in the backpacks is a great way to keep them entertained on a break. Tablets and DVD players are great for keeping the peace during the boring travel days, but once you’re at your destination, it’s time to break out the frisbees, kites, and beach balls. Spending time as a family while on location is exactly why you took the vacation in the first place. Simple lawn games like bocce ball or corn hole are great ways to involve the whole family, regardless of the kids’ ages. If you’re flying with checked bags, spread out your essentials throughout the luggage. This way if you lose one bag, you won’t be missing all of the baby supplies, or rain coats, or swim wear, or shoes. Another way to make sure you never get caught off guard by an airport mix-up is to keep a full change of clothes and important items in your carry-on bag at all times. One of the best reasons to take kids and babies on vacation with you is because they already have a great nap regimen, and now you get to join them! Don’t neglect your own rest on this trip; isn’t that why you took this time away? Give yourself permission to sleep and relax fully while on your vacation. For every hour your kids are sleeping or lazing or sunning, you should be too! Next time you’re planning a family trip, give yourself a little pampering! You deserve to relax and enjoy the trip just as much as the kids. There’s no need to overcomplicate a fun-filled family getaway. Just pack smartly, be prepared, be informed, get plenty of sleep, and remember that family vacations should never be a stressful experience.